There is a famous saying within the fanbase of most football clubs that ‘no player is bigger than the club’. Indeed, players cannot be bigger than clubs, but there can be no denying of the fact that clubs are sometimes dependent on some players. Right now, that is the conundrum that Real Madrid are finding out, albeit the hard way. Los Blancos have started each of the last three seasons as favourites in Europe, but that was with Cristiano Ronaldo in their ranks. The departure of the Portuguese superstar in the summer to Juventus appears to have stung the life out of the Spanish giants, and the club is currently struggling. Ronaldo was not the only star player at Real Madrid. The 33-year-old was one of many galacticos – but he was a special galactico. Real Madrid can deny all they want, but for a player who scored 450 goals in nine years, his impact can never be downplayed. 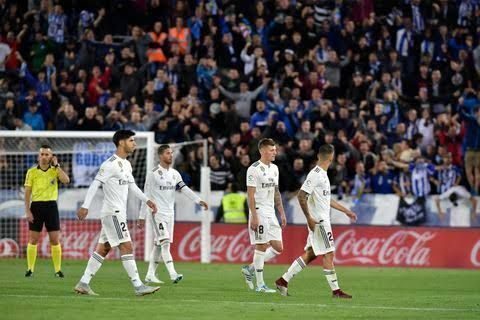 The recent struggles of Los Blancos, though, is a testament to the fact that the club is missing the goals that Ronaldo used to provide willfully. Real Madrid started the season on a fine note, prompting talks that the club has moved on superbly from the sale of Cristiano Ronaldo. However, such thoughts now look premature at best. One of the damning stats about the club’s recent slump is the unwanted record-breaking goal drought. 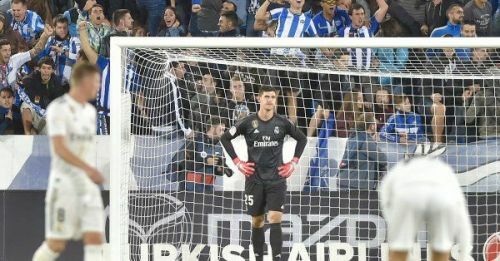 Los Blancos have failed to score in four consecutive games in all competitions – a run which stretches to almost 400 minutes without scoring a goal. According to Opta, this is Real Madrid’s worst ever run since the club went five matches without a goal in 1985. With Ronaldo, never for once did the club even go three games without getting on the scoresheet. From this stat, it is obvious that the vacuum left by the Portuguese is yet to be filled and Real Madrid are currently bearing the brunt.